A woman stood at a memorial outside the Tree of Life synagogue. PITTSBURGH (AP) — They were professors and accountants, dentists and beloved doctors serving their local community. ‘‘If they were here, they would tell you that is where they were supposed to be,’’ Chris Schopf, a vice president of the organization ACHIEVA, said in a statement. The man accused in the Pittsburgh synagogue massacre appeared briefly in federal court to face charges he killed 11 people. Achieva provides help with daily living, employment and other needs, and the organization had worked for years with Cecil, 59, and David, 54, who were among the 11 killed in Saturday’s deadly shooting. They lived semi-independently. Cecil was a person who was up for all sorts of activities: a concert, lunch at Eat ‘n Park — a regional restaurant chain known for its smiley-face cookies — even a trip to the Duquesne University dining hall, recalls David DeFelice, a Duquesne senior who was paired with him in a buddies program three years ago. The two became friends, DeFelice said. ‘‘He was a very gregarious person — loved being social, loved people. ... You could put him any situation, and he’d make it work,’’ chatting about the weather or asking students about their parents and talking about his own, said DeFelice. And when DeFelice recognized Hebrew letters on Cecil’s calendar, the elder man was delighted to learn that his buddy was also Jewish and soon invited him to Tree of Life. DeFelice joined him on a couple of occasions and could see that Cecil cherished his faith and the sense of community he found at temple. ‘‘He was such a strong practitioner of his faith,’’ DeFelice said. 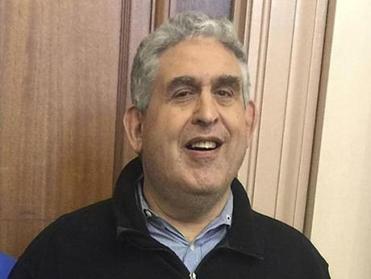 Emeritus Rabbi Alvin Berkun saw that, too, in Cecil, who according to his obituary was known as ‘‘the honorary mayor of Squirrel Hill,’’ and David, who worked at Goodwill Industries. 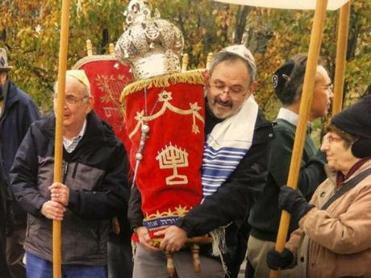 ‘‘They really found a home at the synagogue, and people reciprocated,’’ he said. The two left an impression on state Rep. Dan Frankel, who sometimes attends services at Tree of Life and whose chief of staff is the Rosenthals’ sister. ‘‘Anything that they could do, and they did it as a team,’’ she said. ‘‘(They) were very devoted, an active, steady presence,’’ Berkun said. The Simons had married there in a candlelight ceremony nearly 62 years earlier, according to the Tribune-Review. Melvin Wax was always the first to arrive at New Light Congregation in Pittsburgh’s Squirrel Hill neighborhood — and the last to leave. 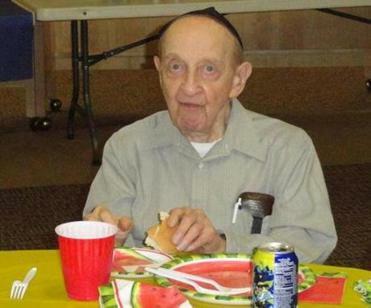 Wax, who was in his late 80s, was among those killed when a gunman entered the synagogue Saturday and opened fire a few minutes after Sabbath services began. Fellow members of the congregation, which rented space in the lower level of the Tree of Life Synagogue, said Wax was a kind man and a pillar of the congregation, filling just about every role except cantor. Myron Snider spoke late Saturday about his friend who would stay late to tell jokes with him. He said ‘‘Mel,’’ a retired accountant, was unfailingly generous and a pillar of the congregation. ‘‘If somebody didn’t come that was supposed to lead services, he could lead the services and do everything. He knew how to do everything at the synagogue. He was really a very learned person,’’ said Snider, a retired pharmacist and chairman of the congregation’s cemetery committee. ‘‘I know a few of the people who are always there that early, and he is one of them,’’ she said. ‘‘Those of us who worked with him respected and admired his devotion to his work and faith. His loss is devastating,’’ Tami Minnier, UPMC chief quality officer, wrote in a statement on Twitter. Olivia Tucker’s grandmother was treated for cancer by Dr. Jerry Rabinowitz. Tucker, who is transgender, also visited Rabinowitz for a checkup. ‘‘Joyce was a magnificent, generous, caring, and profoundly thoughtful human being,’’ she said. She brought a keen mind, engaging personality and ‘‘a certain elegance and dignity’’ to the center, Perfetti said. Stein, 71, was president of the Men’s Club at Tree of Life. He also was among a corps of the New Light members who, along with Wax and Richard Gottfried, 65, made up ‘‘the religious heart’’ of the congregation, said Cohen, the congregation co-president. With his generous spirit and dry sense of humor, ‘‘he was somebody that everybody liked,’’ Halle said. Former Tree of Life Rabbi Chuck Diamond said he worried about Rose Mallinger as soon as he heard about the deadly shooting at the synagogue. The 97-year-old had almost unfailingly attended services for decades, he told The Washington Post, and was among the first to walk in. ‘‘I feel a part of me died in that building,’’ Diamond said. The oldest of those killed in Saturday’s shooting at Tree of Life, Brian Schreiber told the Pittsburgh Post-Gazette that he regularly saw her at services. 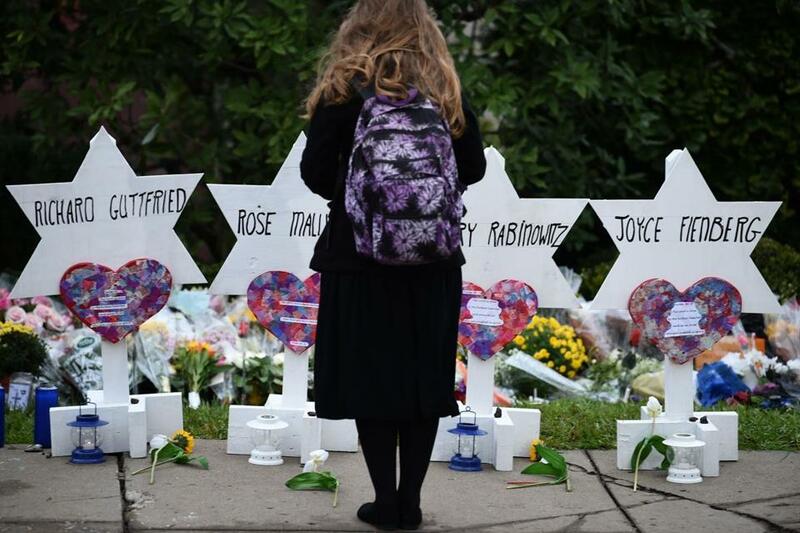 ‘‘Rose was really a fixture of the congregation,’’ Schreiber, president and CEO of the Jewish Community Center of Pittsburgh, told the Post-Gazette. Her daughter, Andrea Wedner, 61, was among the wounded, a family member said. She remains hospitalized. Gottfried ran a dental office with his wife and practice partner Margaret ‘‘Peg’’ Durachko Gottfried. He and his wife met at the University of Pittsburgh as dental students, according to the Washington Post, and opened their practice together in 1984. He, along with Wax and Stein, ‘‘led the service, they maintained the Torah, they did what needed to be done with the rabbi to make services happen,’’ Cohen said. ‘‘He died doing what he liked to do most,’’ said Don Salvin, Gottfried’s brother-in-law, told the Washington Post. Jonathan Voye told the Pittsburgh Post-Gazette that Younger, 69, was personable and occasionally spoke with him about family or the weather. Tina Prizner, who told the Tribune-Review she’s lived next door to Younger for several years, said he was a ‘‘wonderful’’ father and grandfather. The one-time real estate company owner ‘‘talked about his daughter and his grandson, always, and he never had an unkind word to say about anybody,’ Prizner told the Tribune-Review. Beth Markovic, owner of Murray Avenue Kosher grocery and deli, said Younger was a dedicated customer who was especially fond of her meatloaf and chicken salad and asked her to alert him when she was making it. Lauer reported from Philadelphia, Peltz reported from New York and Dale reported from Pittsburgh. 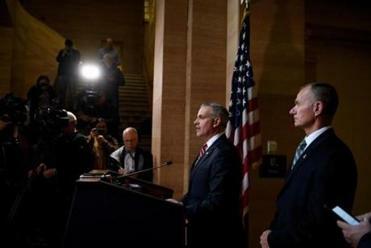 Associated Press journalists Allen G. Breed and Robert Bumsted in Pittsburgh and researcher Monika Mather in Washington contributed to this report.